The aim is to develop a routing assistance tool that determines ship and environmental condition specific corridors based on the analysis of historic data such as AIS, hydrographic and meteorological information, considering maritime regulations. Using historic information for routing will enable the mariner on board to benefit from nautical experience of other mariner and operators ashore to monitor the general traffic situation as well as to reduce risk in the planning phase. The technology will improve overall safety of navigation at sea, lower the risk for crew, vessel and cargo as well as for the environment and is of particular importance in the light of ongoing crew reduction and autonomous vessels projects. 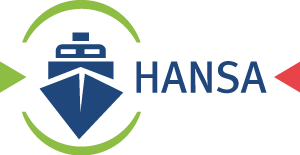 HANSA is funded by the MarTERA partners German Federal Ministry of Economic Affairs and Energy (BMWi), Polish National Centre for Research and Development (NCBR) and Research Council of Norway (RCN) and co-funded by the European Union.